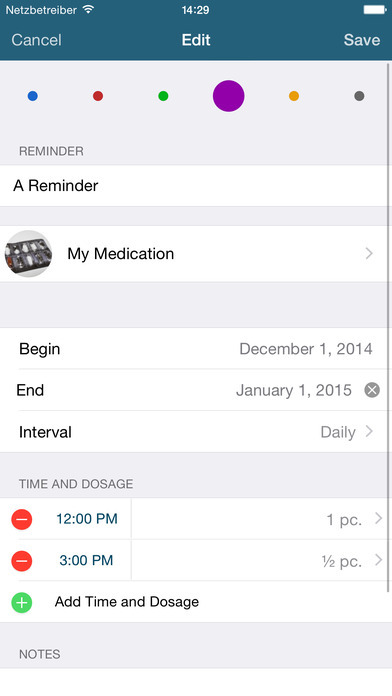 Medication Alarm reminds you to take your medication. 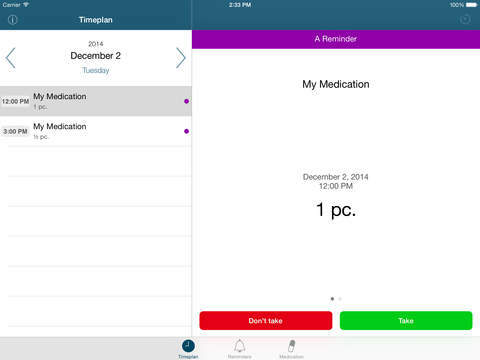 You can enter an infinite number of reminders, medication and times. 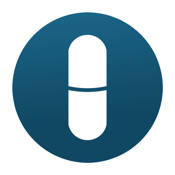 With Medication Alarm you have an overview of your future intakes. 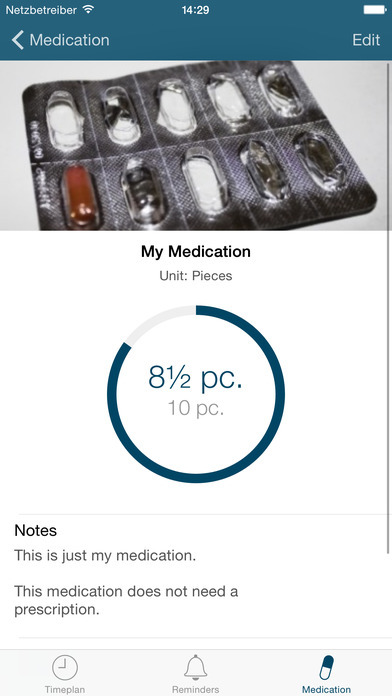 Track the package content of your medication. 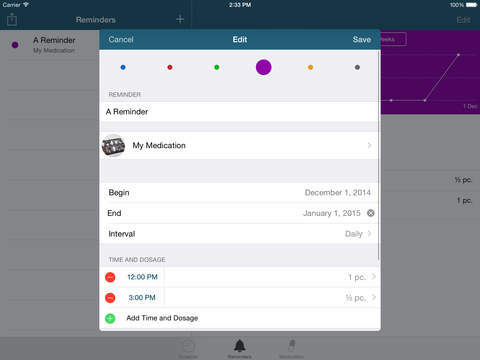 You don't need an internet connection, all reminders are working locally.